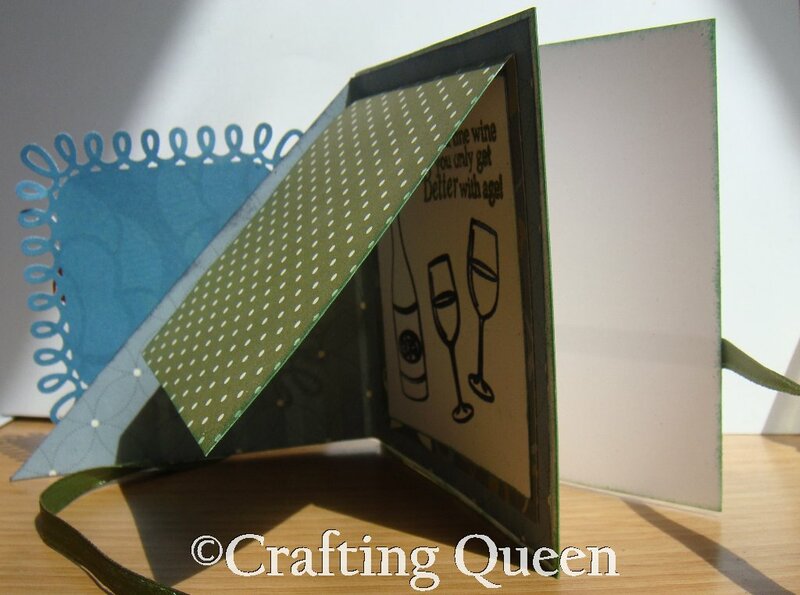 So here's a multi fold card technique I learnt at Inspirational Techniques and Tutorials Blog. Seriously they have some real nice and very easy tutorials you must check out. So here's my take on it! 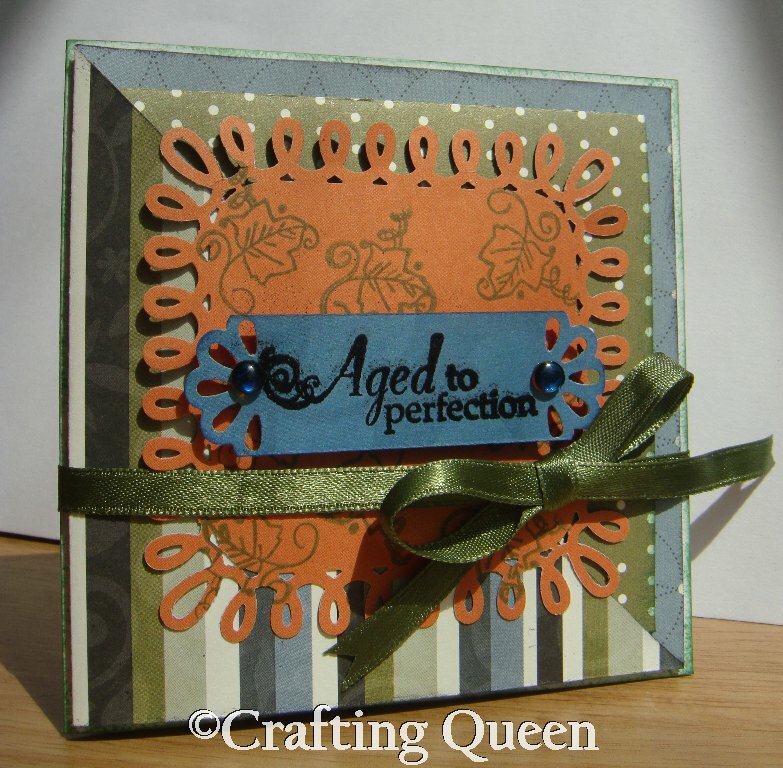 Beautiful card... love the colors and the folds.. its quite different. This is kewl,.love it! !so finally got your MS punches? 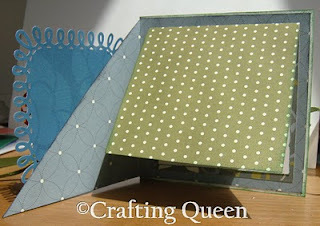 really nice and different too.the punched border looks great! Love the way you used the flap on the inside to hide the sentiment:-) really nice job. 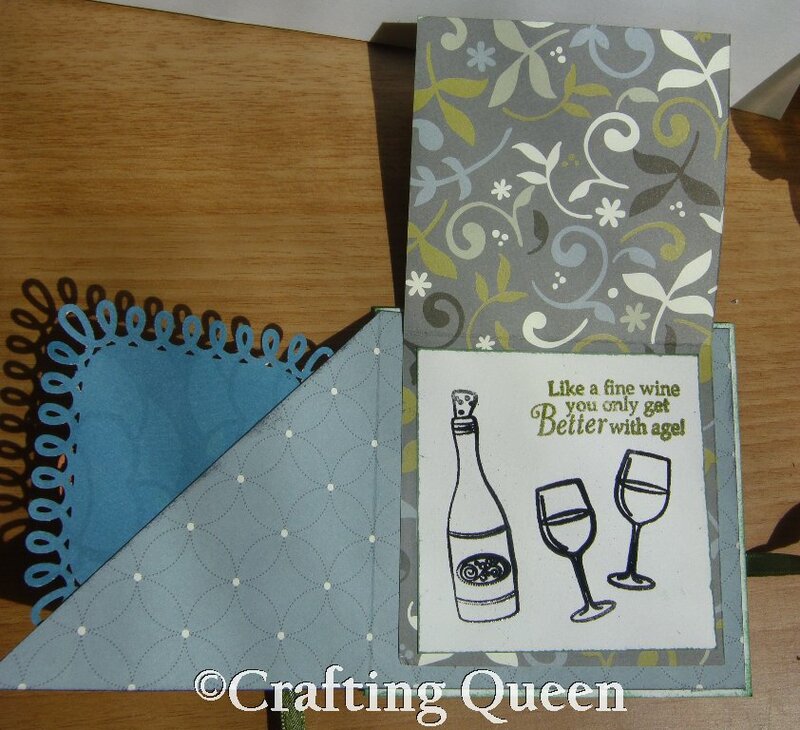 love the card especially the lace in the front. Its just gorgeous, love the shape. Thanks for playing along at C4E this week. Very cool, I love the multiple folds! Thanks for sharing with us at Fab n funky this week! Hi Karuna, thanks for your kind words! An SVG file is an image file just lik eyou have a .jpeg/.gif; except that it's scalable. Implying that you can increase or decrease the size of the image without affecting it's quality. Inkscape is a software that can be used to create such files! 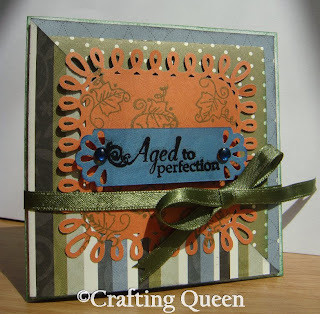 Beautiful card... love the colors and the folds and border too..
Crafting Queen Store - Beezeeee! Crafting Queen Stores says thanks! !